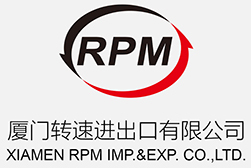 Rimpex Rubber supplies Fluororubber FE2460, China origin. Fluororubber FE2460 is a ternary copolymerization fluorinated elastomer of polyvinglidene fluoride monomer, tetrafluoroethylene monomer and hexafluoropropylene monomer. The appearance of Fluororubber FE2460 looks like white flakes, fluorine content is 67%. Fluororubber FE2460 could compound with others fillings, rubber chemicals before being vulcanized into various rubber parts, which have heat endurance property against high temperature and excellent oilproof performance against fuel oils, synthetic oils, lubricating grease oils. Those available rubber parts made from Fluororubber FE2460 includes various O rings, seals, dissepiments, backing rings, rubber sheets, valve plates, flexing tubes, rubber rollers, which could be either mould pressed or extruded. White or light yellow flakes, without visual impurities. Fluororubber FE2460 series products are suitable for storage in clean, cool, dry places. Fluororubber FE2462 and FE2463 flake products are insulated with isolating films, then encapsulated into PE film bags & cartons, net weight 20kgs/ctn.